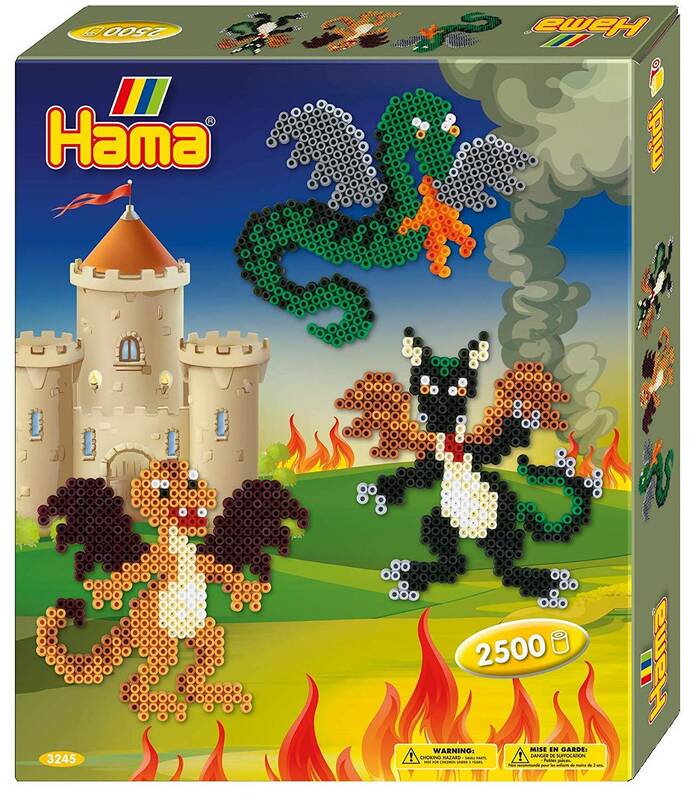 Create fantastic Dragon designs & more. Simply place the beads onto the pegboard and iron using the special ironing paper provided to create a permanent design! Use the bead supports provided to display your design upright! 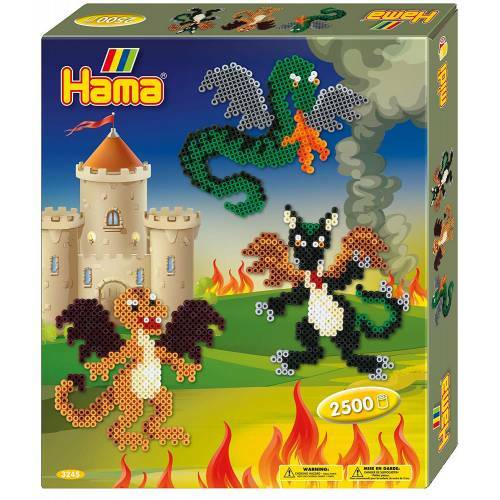 This set contains over 2500 midi beads, 1 pegboard, 4 bead supports, design guide, instructions and ironing paper.